What is going on with museum restaurants?–Long the domain of staid upholstery and starched skirts, lately they seem to be showing a lot more ankle! The current case in point, Gertrude’s at the Baltimore Museum of Art, where I had an early supper (or was it a late lunch?) last Sunday. The BMA is noted for the Cone Collection, a gift from sisters Etta and Claribel Cone, daughters of a prosperous late 19th-century owner of a grocery store. After their brothers built the family business into a huge textile company, “Miss Etta and Dr. Claribel” spent a good chunk of the family fortune on art, guided at first only by their own superb taste and then later by their good friends Leo and Gertrude Stein. Hence the name of this restaurant! 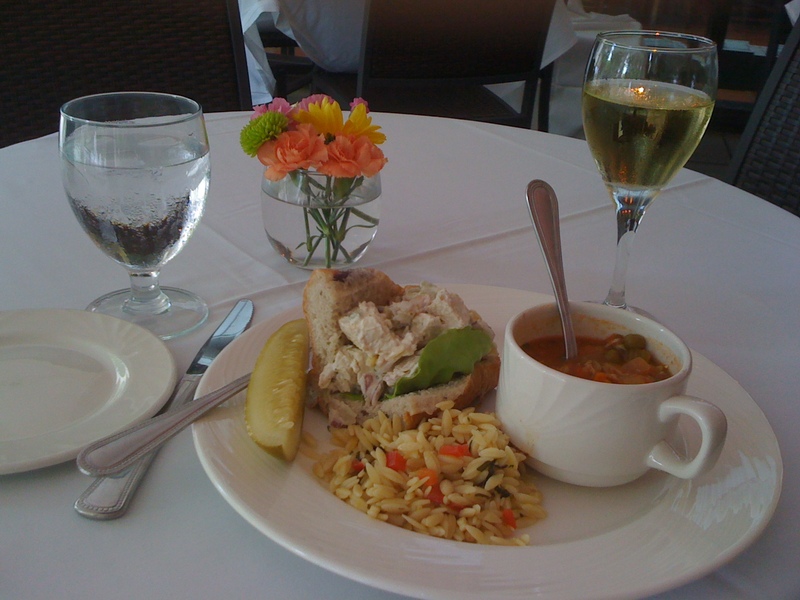 After spending several hours among the many Matisses (Henri was a close friend of the sisters and is well represented), the Picassos, the Modiglianis, and even the Jackson Pollacks, I was ready for a sit-down and a light meal. The setting also helped! 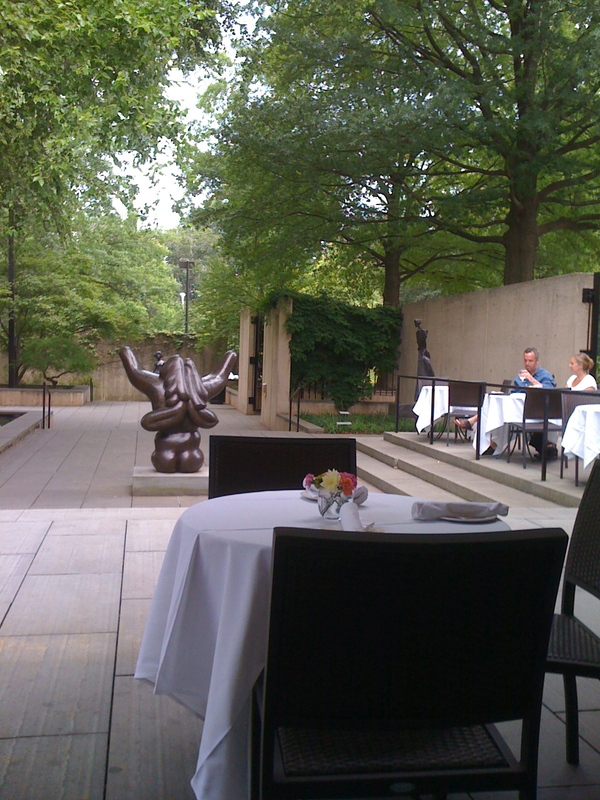 Gertrude’s extends out onto a patio at the edge of the BMA sculpture garden. It was a warm, pleasant day, so I sat outside by the fountain and admired the art as I ate. After my meal, I wandered around the Johns Hopkins University campus next door until it was time to retrieve my roller-bag and head for the airport. What a nice day!–I’ll be back, Baltimore! This entry was posted in Let's go EAT! and tagged Baltimore restaurants, BMA restaurant, Gertrude's, museum restaurant by judyramey. Bookmark the permalink.